CMS’ Newly Released Fact Sheets for PDPM: What Do You Need to Know? While we here at HealthPRO® Heritage are thankful for many things this holiday season, this week we were able to add one more item to our list of “thanks”! We are always so grateful when we come upon new information to share with each of you, but even more thankful when that new information is PDPM clarification that we have anxiously been awaiting. So, while you are enjoying some well-deserved quality time with your loved ones this holiday, here is some light reading for you to digest alongside the turkey and pie! MDS Requirements for 10/1/19: When the changeover from RUG-IV to PDPM occurs on 10/1/19, all SNF residents that are currently utilizing their Medicare A benefits for their current SNF stay will require a new Interim Payment Assessment to continue forth those benefits under PDPM, regardless of whether they have already had a previously completed MDS. IPA Clarification: Interim Payment Assessments, or IPAs, will continue to be optional and can be completed at the discretion of the provider; however, we now have additional clarification on the proper completion of this item set. As previously noted, a provider can complete an IPA when a resident undergoes a significant clinical change that results in a change to a tier 1 classification. We also now know that the Section GG items calculated for nursing, PT, and OT as part of the PDPM calculation will be reassessed at the time of the IPA reflecting the resident’s current functional status. On the IPA, GG items will be derived from a new column “5”, which will capture the interim performance of the patient. The look-back for this new column will be a three-day window preceding and up to the ARD of the IPA. Additional Item Added to Section I: Line Item I1300: Ulcerative Colitis or Crohn’s Disease or Inflammatory Bowel Disease is being added to the NP, SP, and IPA item sets to allow for the 1-point capture on the NTA item list. Primary Reason for the SNF Stay: Possibly the most important change to be aware of is the reporting of the ICD-10 that is reflective of the reason for the SNF stay and responsible for mapping the resident to the appropriate PDPM clinical category. It was previously understood that this would pull from the first line of I8000, however, the updated Fact Sheets clarify that this critical ICD-10 code will now pull from the newly added line item of I0200B. The item will ask “What is the main reason this person is being admitted to the SNF?” Item I0200B will be coded when Item I0020 is coded as any response 1 – 13. Additionally, there are new items being added to section J of the MDS as well. These items are Items J2100 – J5000 and are used to capture any major surgical procedures that occurred during the current qualifying hospital stay. These items, which will be in the form of check boxes, will be used in conjunction with the diagnosis code captured in I0020B, to classify patients into the PT and OT case-mix classification groups for PDPM. All nine of the newly released Fact Sheets can be found here. HealthPRO® Heritage will continue to bring you the most up-to-date information on all things PDPM. Don’t forget to regularly check our blog for all you need to know to be #Ready4PDPM. Need support getting your head in the game? HealthPRO® Heritage is also a trusted, consultative partner leading the industry in PDPM readiness. 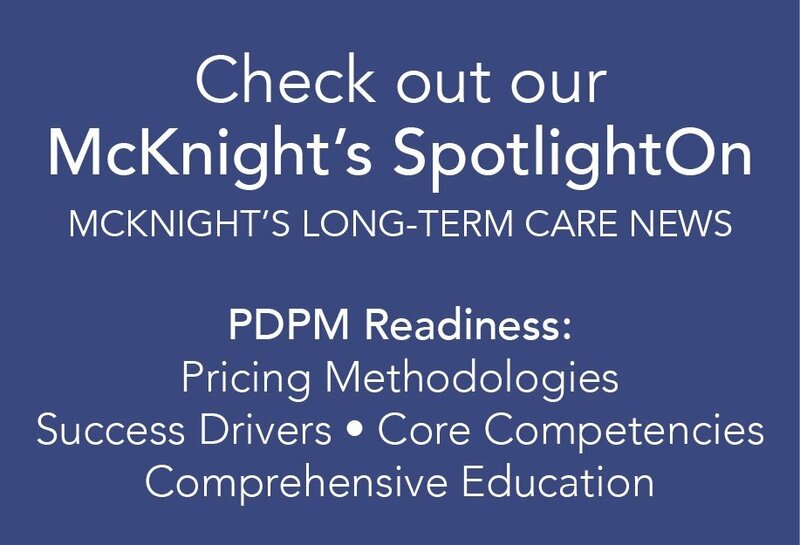 Our deliverables: strategy, education, and execution on key clinical competencies that are crucial to PDPM success. © HealthPRO® / Heritage. All rights reserved.